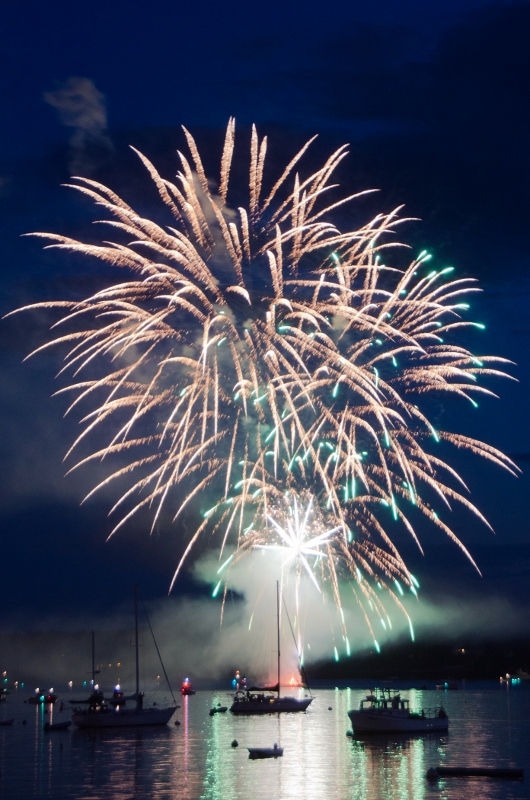 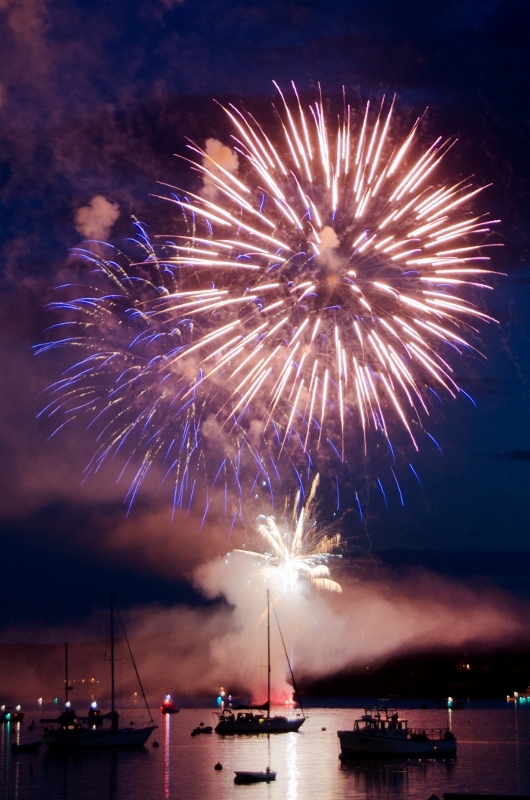 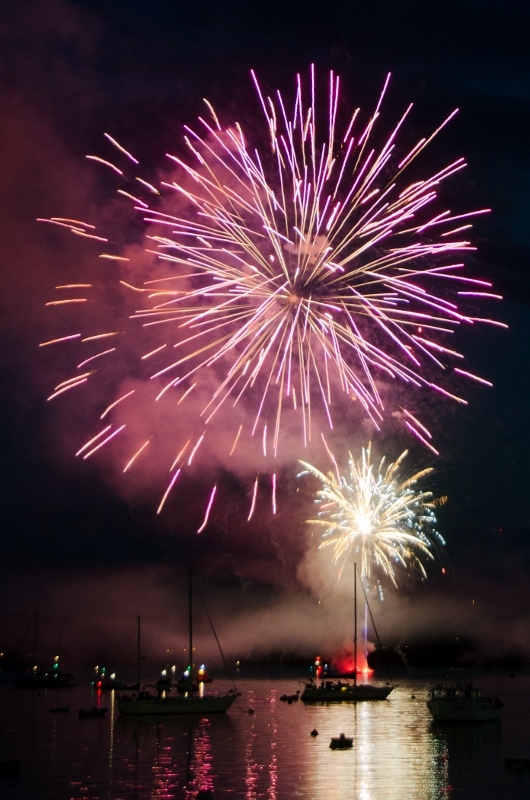 Find a cozy establishment in the harbor, or stake your spot along the shore and watch the fireworks light the sky over the majestic masts of the windjammers! 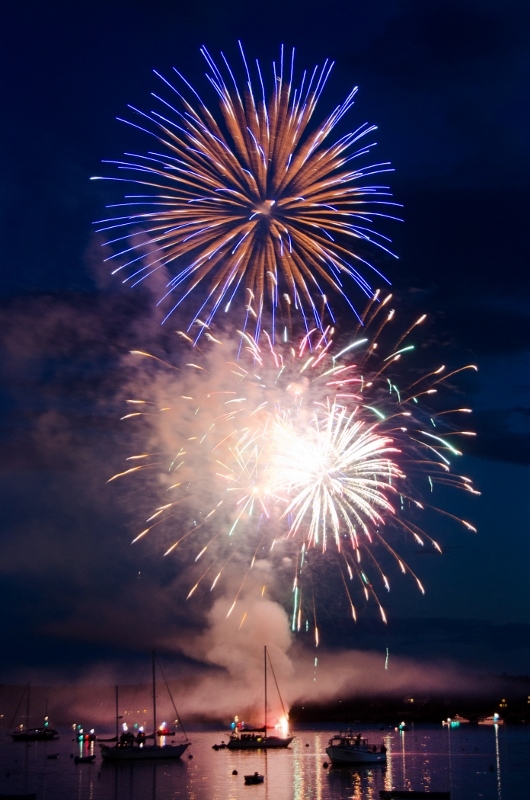 If the weather for the scheduled night is bad, the fireworks will be postponed until the NEXT best evening. 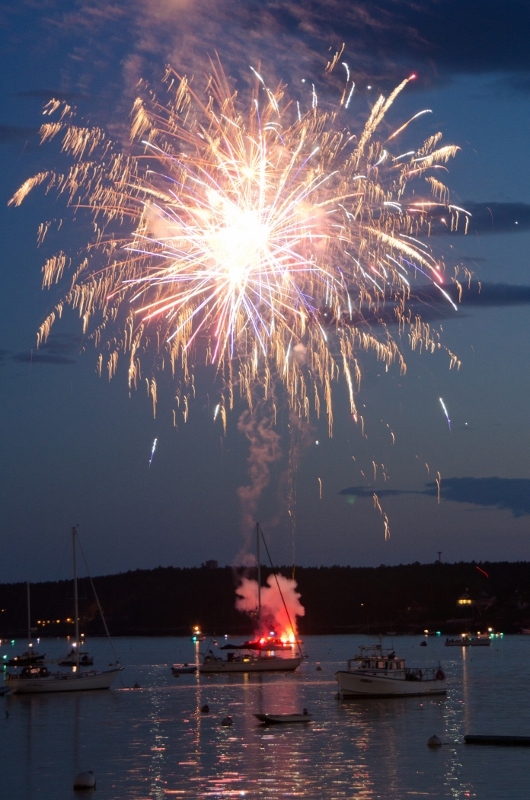 The decision will be made by the town manager and the pyrotechnics company by 6:00 PM. 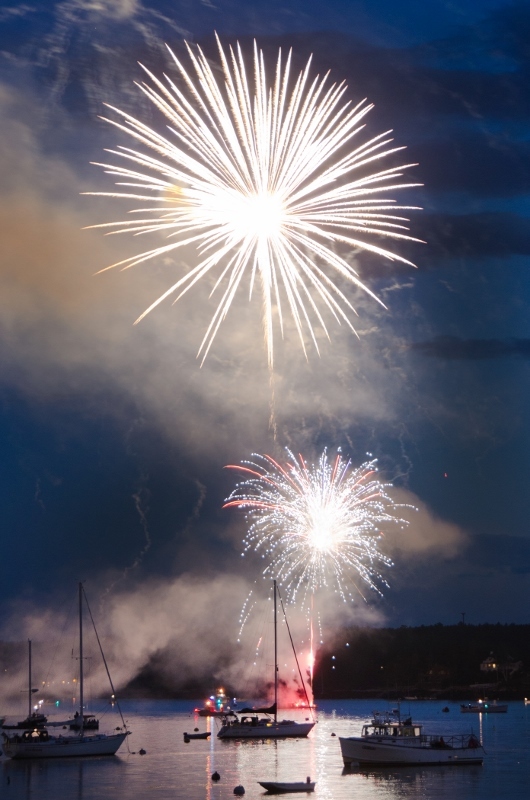 The fireworks will not be cancelled.